Poor insulation reduces a home’s thermal efficiency. This can then lead to increased energy costs as your HVAC system must work harder to maintain a comfortable indoor temperature. 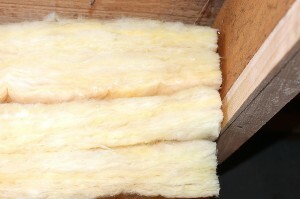 If you’ve been paying high energy bills and suspect that your Pensacola home’s insulation may be the culprit, turning to 31-W Insulation for fiberglass insulation service is a smart decision. Not only that, but our fiberglass insulation is also resistant to moisture, which makes the likelihood of mold buildup in your home’s attic or wall cavities much less likely. And because of our high workmanship standards, you can expect meticulous installation for many years of dependable insulation performance. We never rely on subcontractors for installation, and only our dedicated employees will work on your project. To determine which type of insulation is right for your needs and budget, we offer a convenient in-home consultation during which one of our knowledgeable representatives will walk you through your insulation options and answer any questions you may have. Want to know more about how our fiberglass insulation services can boost the thermal efficiency of your Pensacola home? Contact 31-W Insulation today.